Recently I have been given the opportunity to work with Zola and try some of their products I have been hearing rave reviews about. I have never been a fan of anything coconut. I have always disliked the scent and taste of anything coconut except when it came to lip balm. Even though I am not a fan of anything coconut I am still adventurous and love to try new things. This was NOT a characteristic trait that I have always had. I have possessed this attitude from my hubby. 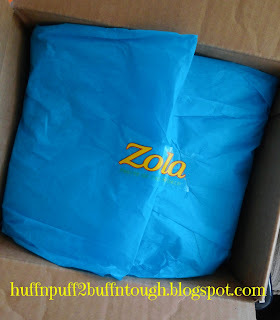 Zola sent me a box with products beautifully wrapped in tissue. I was so excited to open it! Products came nicely wrapped with tissue paper. Also, included was a cute pair of neon green sunglasses. Did I rock the green glasses or what?! I'd like to think so! 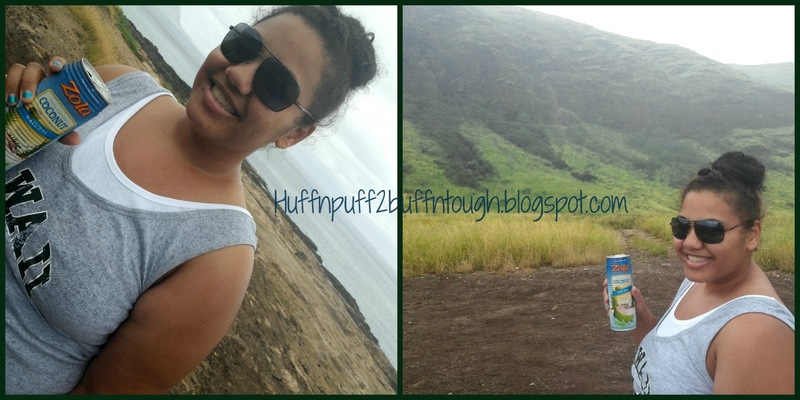 Enjoying a drink on one of my outings at Ka'ena Point State Park. I tried the natural coconut water (blue can) first. I thought it had a very pleasant light taste to it. I thought it would have a heavy coconut taste, but turns out that wasn't the case at all. I enjoyed the taste a little bit. It's not something I would drink on a regular basis though. The Acai juice was the product I tried next and I must confess that I am not a fan of the juice. I have never tried acai juice before so I didn't know what to expect when tasting it for the first time. I didn't like the taste in my mouth or the texture of the juice. It left my mouth even more dry than it was before. I suffer from dry mouth on a regular basis from medications and other unknown reasons and certain things can make it worse for me. The coconut water actually gave me relief from dry mouth and throat, but the acai juice made it worse. I know acai juice has many health benefits, but it is not for me. The last product I tried was the coconut water with pulp. I must say that this happens to be my favorite of all the products. I love the texture and taste. I love that it has a light taste along with the texture of the pulp. I love pulp in my drinks (especially orange juice). I could probably drink this product on a regular basis considering the fact that it helps my dry mouth. I don't like to drink my calories on a regular basis so I might drink it here and there. 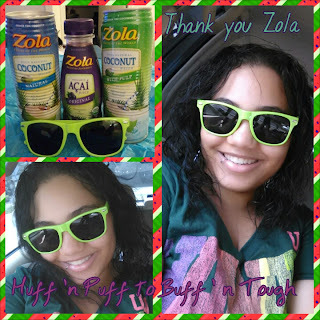 Thank you Zola for the awesome products and cute sunglasses. I highly recommend this beverage brand to anyone who loves coconut and/or Acai beverages and even people who are not huge fans of coconut (I'm not and I liked it). Just a little tip though to anyone who suffers from dry mouth for whatever reason..... drink the acai juice with caution. The coconut water really helps with dry mouth! I haven't tried the Zola products I received yet. I am so nervous to (I have no idea why). I might try it this afternoon. Like you, I don't like to drink my calories (or for me, points) so I like to plan them out! I was nervous to try it too because it was something different and I usually do not like coconut flavors, but I'm glad I gave it a try and that I was not disappointed. Let me know how it goes!